Site-specific installation at NARS Foundation in Sunset Park. 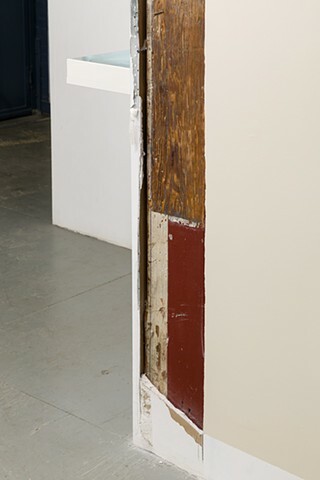 To create this piece, the wall in front of historic wooden supports was removed to reveal the history of the space. Additionally, paint was scraped from the columns to highlight the layers of history already existing in this building. Evoking a renovation, this installation related to the practice of exposing historic building elements in high-end renovations to attract buyers seeking "the authentic."